Extend any Wide Eyed Pupils school trip to Vietnam with this exciting adventure filled journey to magnificent Siem Reap. This morning we check out of our hotel and head to the aitrport in an air conditioned private bus. We take a short flight to Siem Reap where our Wide Pupils tour guide will pick us up and check us into the hotel. After we've freshened up and enjoyed some lunch our guide will talk to us about our adventure to the magnificent Angkor Watt the following day. In the evening we go to a truly magical, utterly incredible, high flying circus like no other. Phare Circuses are renowned worldwide for their breathtaking showmanship and stunning performances. Begin your discovery of the ancient Khmer Capital with temples on the Grand Circuit depending on your interests and energy levels the following are suggested sights, Preah Khan, Neak Pean, Ta Som, Pre Rup and BanteayKdei. Our expert guides will ensure your students get the most engaging and educational experience possible. We depart pre-dawn to travel to Angkor Wat. As the sun rises you can see a silhouette of the temple’s uniquely shaped towers against a coloured sky as the sun breaks over the horizon. After breakfast at the hotel continue your temple exploration of the UNESCO world heritage complex at Ta Prohm, easily the most atmospheric and a highlight for anyone visiting Angkor. A temple where you will love to linger, swallowed by the jungle looks very much in the same state as when the French explorers stumbled upon it more than a century ago. It's time to say farewell to your Cambodian adventure. We hope you had an awesome time and learnt a lot. Your driver will pick you up and take you to the airport where you can transfer home. 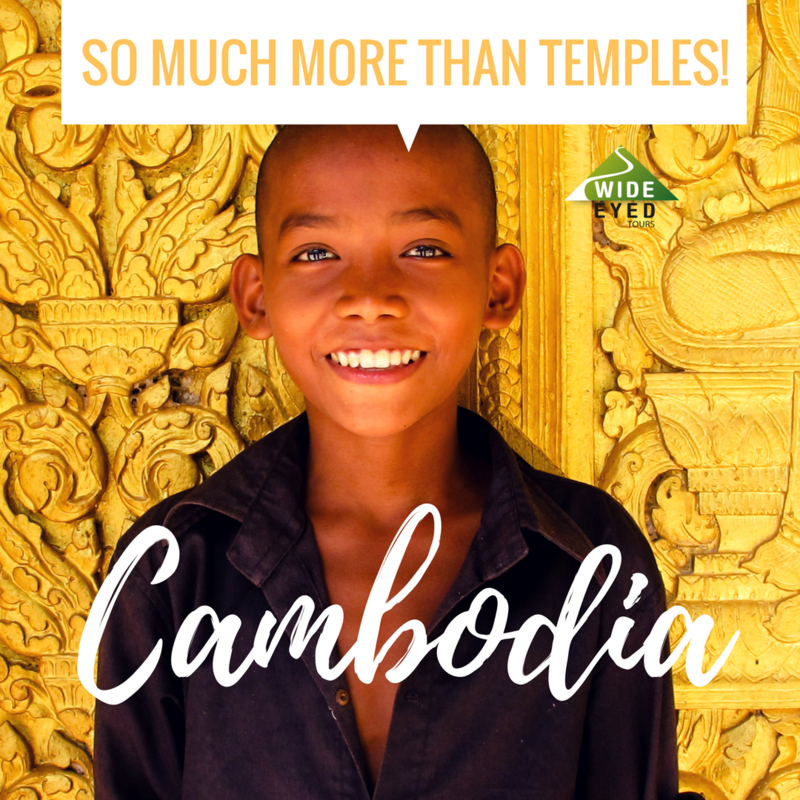 This 4 day extension allows your pupils to explore the long and proud Khmer culture and its fascinating, sometimes brutal history. After you fly into Siem Reap we get stuck straight into a stunning circus performance. The next day we explre the ancient temples and palaces of the old Khmer capital before getting an early night. The next day we wake up early to watch the sunrise over Angkor Watt before spending the day exploring the stunning temples. Students will stay in shared rooms in clean and safe 3 star accomodation. Teachers will have private or twin rooms in the same hotel. This month we are featuring the underrated Siem Reap, the city of excitement, that has hidden gems outside of its magnificent temples.